MANILA, Philippines - A recent survey carried out by Jobstreet.com has shown that Filipinos are the happiest employees in Southeast Asia. The survey, released on Wednesday, August 31, also showed that Filipinos’ positive attitude can boost the economy. 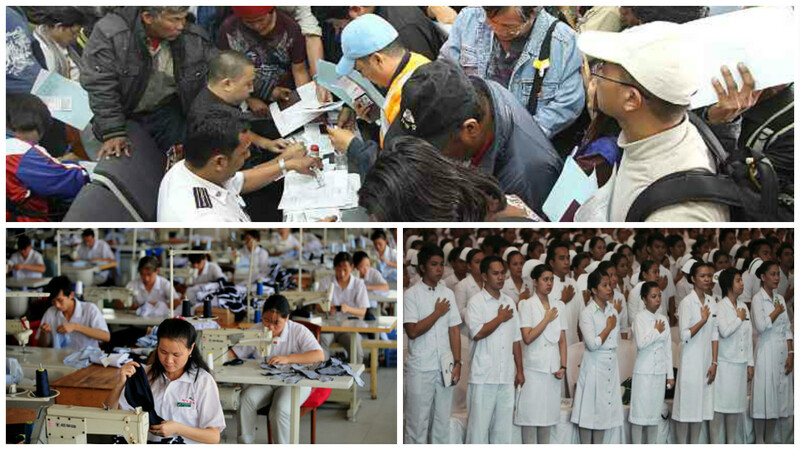 Topping the the seven-nation “Happiness Index”, 73% of Filipino respondents said they were happy with their jobs. Meanwhile, Indonesia placed second getting 71%, while Malaysia obtained the lowest score at 41%. In 2015, the Philippines also clinched the top spot in the said survey. Government agency employees were found to be the happiest workers in the country with an average satisfaction rating of 6.66 on a 10-point scale. Among the factors Filipinos considered in job satisfaction are salary, company incentives and benefits, job role, career growth and the company’s development and learning program. The survey, which was conducted in June and July this year, reflects the optimism of Filipinos in the government of President Rodrigo Duterte, who assumed presidency on June 30. Gioca explained that optimistic and satisfied employees could help improve the company’s productivity and competitiveness. "If this resonates, everything will be in a good trajectory in terms of income, GDP (gross domestic product), and output in the Philippines,” Gioca added. A recent report by New Economic Foundation (NEF) has ranked Philippines as the 20th happiest place in the world. Costa Rica was recognized as the happiest place on Earth with a Happy Planet Index (HPI) score of 44.7. The country received an HPI of 35, which was obtained by considering several factors such as well-being, life expectancy, inequality of outcomes, as well as ecological footprint of the citizens of the country.